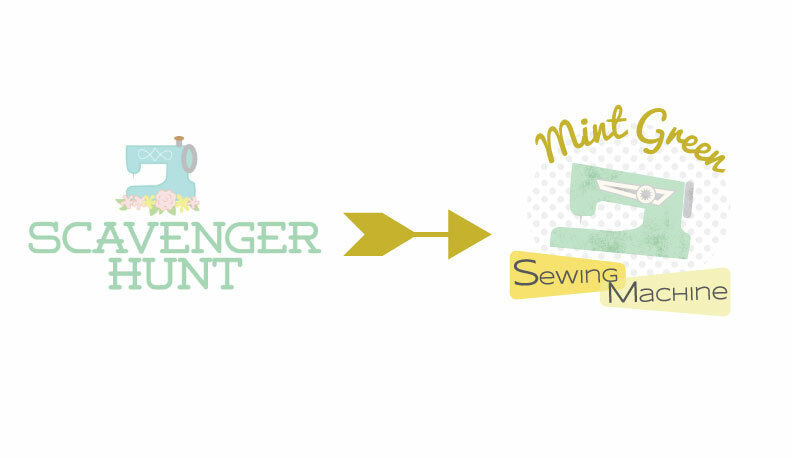 Say Hello to Mint Green Sewing Machine! Hi guys! I’m here with an important message! As you probably have figured out by now, Scavenger Hunt has a new name and a new home. Say hello to Mint Green Sewing Machine! Ok, what happened was I stupidly let my domain registration expire. It all happened right smack in the middle of full-on wedding craziness time, so even though I kept seeing the emails to update my credit card info, I kept putting it off for another day, until one day an Instagram friend asked me: “what happened to your blog?”Â I went to check and….oops! I called Go Daddy to re-register only to find out that somebody else had already purchased the domain and it was now owned by “Name Management Group, LLC”….what?? I guess I was naive but I had no idea that buying up recently expired domains is a whole industry. I’m assuming the point is to capitalize on the traffic that they may bring by placing ads there, or by possibly selling the domain back to the poor sucker who forgot to renew their registration (ahem…me) at a much higher price. Go Daddy offers a service on their website to negotiate a sale with the new owner. I called them and the operator I spoke to estimated that they would probably ask around $500-1000 for me to buy my domain back. Needless to say, that was just not in my budget so I just decided to call it a loss. Anyway, after a real bummer of a morning I decided to make lemonade from lemons and give my poor little blog a much-needed re-vamping and a more relevant name. When I started Scavenger Hunt back in 2012 I was thinking I would be primarily sharing vintage finds and I wanted a name to reflect the idea of hunting for cute and unique items. While I still do plenty of thrift store and estate sale hunting, over time, it evolved into more of a space to share my sewing projects, and now, while I do share vintage finds from time to time it is primarily a sewing blog. I thought that creating a new name to reflect that might actually be a good thing and might help breathe new life into my blogging, not to mention giving me an excuse to play with my newly acquired Adobe Illustrator skills! So, please bear with me as I slowly fix all of the broken links on the site and update my Pinterest, Facebook, Burda Style (and etc.) accounts. I would love it if you would join me over at this new online home! I’m planning lots of wedding project posts very soon (just as soon as I get all of the amazing professional photos). And if you by chance have a link to my blog on your site, I would be eternally grateful if you could please update the URL. Thanks everyone! It feels great to be back!